I have been waiting a long time for this, but it's finally back! 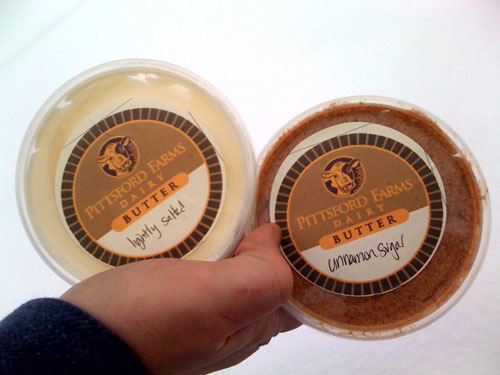 They are making butter at Pittsford Dairy again! Not only are they making salted and lightly salted but they have CINNAMON SUGAR BUTTER! Ahhhhh! How good will that be on toast?! Did you see this Jenny? So cute! Very cute! I'm curious what is inside!